What Does NEBOSH IGC International General Certificate Offer ? NEBOSH International General Certificate equips a HSE professional by offering a strong foundation in the ethics and practice of health and safety management.It also supplements with the goal in providing skilled individuals to become specialists in the health and safety industry. Extensive training and guidance on all the parameters of NEBOSH IGC, helps the professional in identifying the hazards in the workplace and tactically carrying out risk review, document results, re-evaluate procedures and create a recommendations report for management to comply with best practice in HSE. NEBOSH IGC also helps to cultivate, sponsor & communicate an effective health and safety culture at the workplace. Who Should undergo a NEBOSH IGC training course? NEBOSH IGC course is designed for individuals seeking to enhance their knowledge and understanding of health and safety. These individuals could be professionals with vast responsibilities to ensure health and safety in their organization or students looking for a career takeoff in the field of health and safety, providing them a platform for further professional learning. This course encompasses the needs of large-scale organizations looking to implement a globally recognized health and safety training program. Any workplace or real world environment is subject to hazards like fire or repercussions of an inefficient process thataren’t uncommon and consequences cannot be taken nonchalantly. This has heightened the need to build a system that can proactively and reactively reduce the risks by implementing safe systems at work. The International General Certificate qualification adheres to the compliance and regulatory standards of Technician Membership (Tech IOSH) of Institution of Occupational Safety and Health (IOSH) and Associate membership (AIIRSM) of the International Institute of Risk and Safety Management (IIRSM). What are the benefits of NEBOSH IGC Certification? Does this course have scope in organizations of all scales and sizes? Does this course have scope in organizations of all scales and sizes? Yes, the risks related to workplace are not limited to small or big entities. Any kind of machinery or equipment might pose potential hazards leading to accidental situations. As a result every kind of organization hires specialists in health and safety management. What is the enrollment procedure for the certification programme? 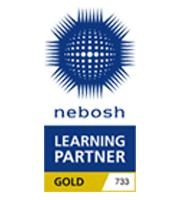 NEBOSH Certificate is a block release that includes 10 days’ tuition from one of our expert tutors. We also provide distance learning by studying offline for a duration of 2 months. Students could also enroll for a single unit, which on completion entitles a NEBOSH certificate. The second unit can be completed at any time during a 5 year period to be a fully qualified NEBOSH certified professional.